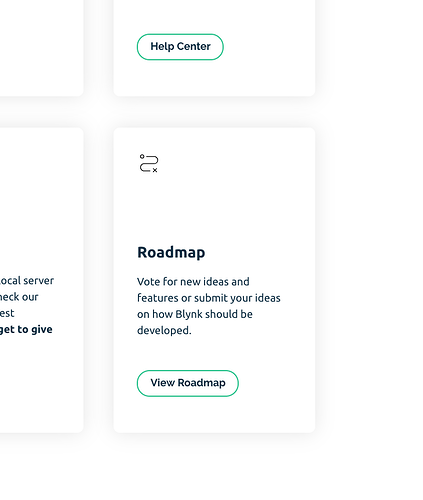 If I enter blynk.io or blynk.cc in my Google Chrome browser URL field, I’m taken to blynk.io. 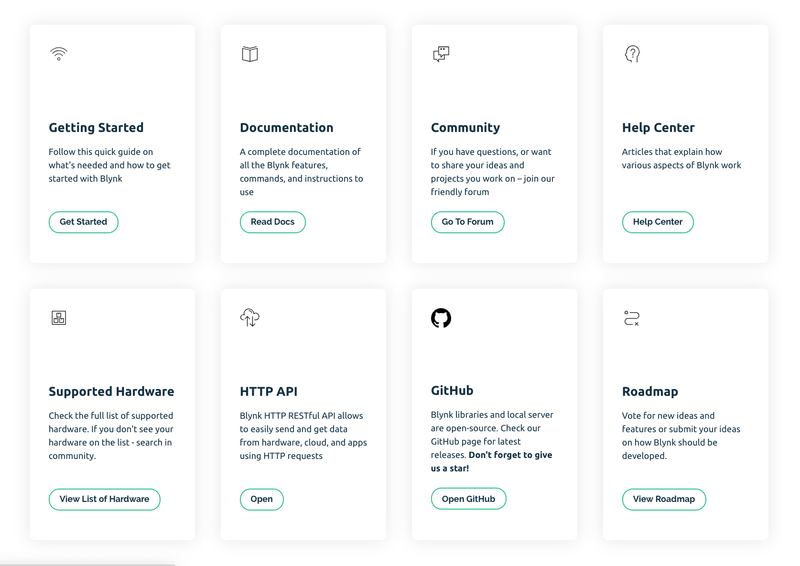 If I click on “Developers” on the top navigation bar, I’m taken to https://blynk.io/en/developers. 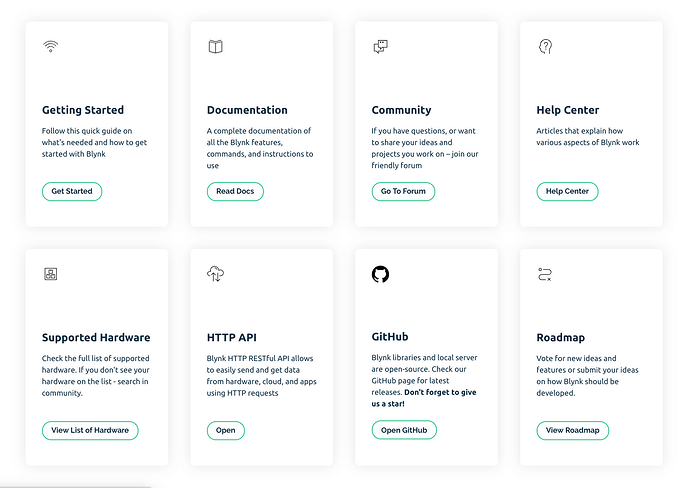 If I click on “Developers” on the top navigation bar, I’m again taken to https://blynk.io/en/developers (it’s cyclic). In the recent past, there were links on the top navigation bar to this Community forum, documentation, … Now these links are at the very bottom of the page. Is this the user experience the Blynk folks are after? Could be … just thought I’d ask. Also, the link to the roadmap has been removed. I’m not too concerned with the Roadmap link. I see the Roadmap as a giant black hole. You take the time to submit thoughtful ideas and they disappear into the ether. No acknowledgement. No “that’s a dumb idea.” No “that’s already supported.” No nothing. but no link to the Documentation (accept at the very bottom of the page). It’s hard enough to get new Community Members to read the Documentation. It shouldn’t be so hard to find. I’m not sure it shouldn’t be required reading. There’s got to be some way of improving the signal-to-noise ratio on this forum. Thanks for the suggestion. I think Pavel had thoughts about this. Very nice! I’m pretty sure that information wasn’t there two days ago. Let’s clarify the issue, because I’m not sure I’m getting it. blynk.cc is no longer used. 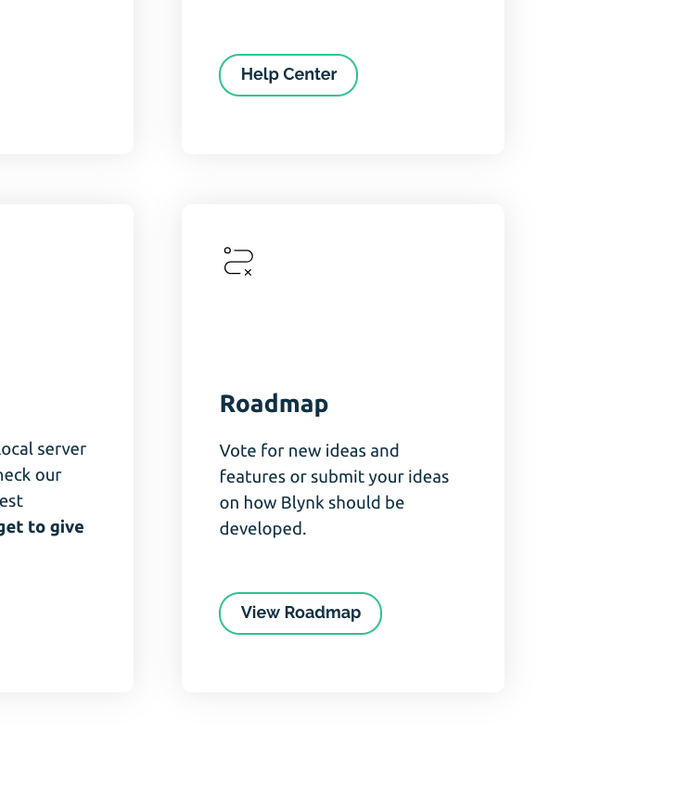 Blynk.io is the one and only primary website we have. It’s still under development. More and more information will appear there. Am I still missing something? Maybe something is not working on the website - please let me know. It’s working well now, but it wasn’t working like this a few days ago. Looks very good now, I like the new styling and imagery - looks very professional and eye catching. I agree with @PeteKnight. This wasn’t the user experience two days ago. Maybe @PeteKnight and I were looking at a cached copy. Don’t know. This looks great. Would you please let us know once the Roadmap has been updated to reflect all of the submitted ideas. I’ve submitted several ideas in the past and not a single idea appears on the Roadmap. I can’t see where there’s even a record of the fact I submitted the ideas (hence the black hole). Is there a way for Community members to view the ideas they’ve submitted (assuming they don’t appear on the Roadmap)? Is the work with the website complete? Have all the ideas submitted over the course of, say the last two months been incorporated into the roadmap?